Expert Perspectives is the home to the voices of industry leaders, as they share their expertise and insights directly from the field. Explore this section to gain the perspectives of those at the top of their class. FC&S Expert Coverage Interpretation is an authoritative and widely cited insurance reference solution that provides information and interpretations on property & casualty coverage in an unbiased manner. It is designed to benefit the insurance industry as a whole by providing fair and objective policy interpretation. 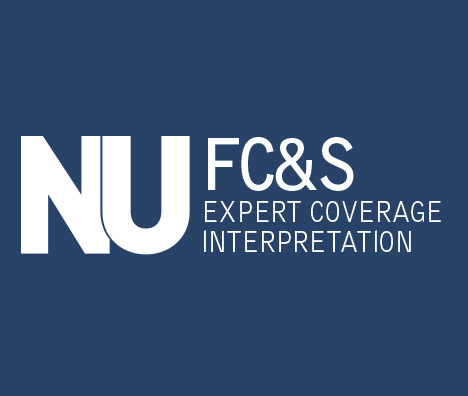 FC&S Expert Coverage Interpretation is considered the gold standard by insurance professionals to support coverage positions and has been cited in numerous court cases, solidifying FC&S as a resource of credible, objective information. Professionals ask questions to our expert staff of editors, for quick and reliable information regarding unique coverage situations. Our editors are CPCUs and attorneys, with 60 years of industry experience, combined, with specializations in Homeowners, Personal Lines, Commercial General Liability, Personal and Business Auto, Commercial Property and Business Income. The Expert Perspectives Program is the very definition of custom content marketing, providing the opportunity for year-round exposure and connectivity. As an expert in your field you can partner with ALM to create, package, and deliver your exclusive critical thinking to our professional audience.